Government supporters of anglers and hunters – long on the endangered species list in California – can now be declared officially extinct. California Fish and Wildlife Commissioner Jim Kellogg — the staunchest defender of hunters and fisherman for 14 years — abruptly resigned on December 31, citing frustration with the lack of respect and consideration for the sports men and women he had fought to represent. That approach appears to be working. Last year California sold only 986,000 fishing licenses, down 57 percent since 1981 (from 2,296,107) despite large population increases. Fees for hunting and fishing licenses and tags automatically go up each year. 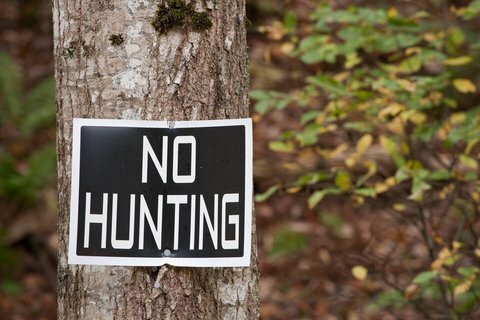 In a particularly Orwellian twist, environmentalist anti-hunting and fishing groups were referred to in the Chronicle article as “conservationists,” a term normally applied to the men and women who pay for most conservation programs through hunting and fishing license fees. Hunters in particular are especially politically incorrect and targeted in California. Some readers of the Chronicle article trashed hunters. Hunters have also been caught up in the pervasive anti-2nd amendment attitude in California’s legislature. Anti-gun legislation intended to make ammunition more expensive or difficult to obtain often masquerades as justified by wildlife concerns. The original ban on hunting with lead ammunition in parts of the state was legitimate because endangered condors were being poisoned by eating carcasses containing lead. But the extension of the lead ban statewide – beyond the range of condors – was justified as a “health issue” to save children from being poisoned by lead shot in game – despite lack of evidence that any such poisoning has ever occurred. With Jim Kelley’s departure, California Governor Jerry Brown will now have the opportunity to make two new appointments to the five-member commission. His last appointment was 47-year-old Anthony Williams of San Rafael, an African-American Democratic party political consultant with no outdoor background.